Company - Attack Your Day! AYD™ is a training and development firm specializing in personal and professional productivity, goals achievement, and time management. The foundation of all programs come from over two decades of experience in the field of time management, project management, business and a 23 year relationship with Day-Timer, the original Day Planner. Here is a short list of companies we’ve worked with over the years. Pearson Learning Solutions, LMI Government Consulting, Project Management Institute, AAA of Michigan, Sprint, Wegmans, Farmers State Bank, ACCO Brands, Cengage, Day-Timer, T-Mobile, Merck Pharmaceuticals, Abbott Laboratories, International Medical Corps, North American Stamping Group, Augustine Homes, Henry County Hospital, Imperial Beach Public Works, Irvine Companies, Servpro, Spokane Turbine Center, Argos USA, Lang Management Company, The Master’s Touch, Ropella Group, and Viaero Wireless. Arizona State University, Columbia Southern, North Central University, Bethel University, Brookline College, Perry Technical Institute, ITT Technical Institute, Louisiana Association for Private Colleges, Ohio Association of Career Colleges, Northwest Career Colleges Federation. Expanding our reach globally to accommodate customers in the UK and Europe. Relocated the company to Pittsburgh, Pennsylvania. Attack Your Day! 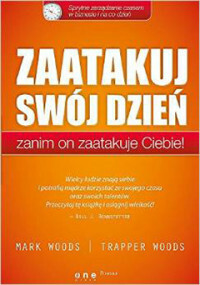 Before It Attacks You is published in Polish. Attack Your Day! 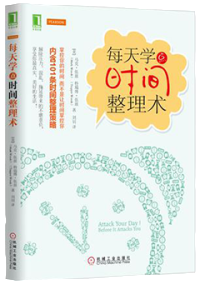 Before It Attacks You, published in Chinese. Attack Your Day! Before It Attacks You, published with Financial Times Press. Signed contract with Pearson Education to launch an academic training portal for colleges and universities. AYD onDemand exclusive training portal for Northcentral University. *Update; Over 16,000 students and faculty have completed Attack Your Day training. Established Woods Group Inc. with subsidiary, Attack Your Day. Trapper Woods passed away after an 18 month battle with cancer. 1st publication of Attack Your Day! Before It Attacks you, released on October 2010, Morgan James Publishing. Teamed up with Day-Timer to release the 24/7 Work-Life Planner. Launched Ridiculously Easy Time Management 1/2 day workshop, the foundation for the book Attack Your Day! Before It Attacks You. Relocated office to Phoenix, Arizona. Commissioned to film Day-Timer’s Jumpstart to Productivity DVD and How to Assemble Your Day-Timer DVD. Changed name to Cannonwood, Day-Timer’s Trainer Partner. Became Day-Timer’s exclusive trainer for Time Power, Day-Timer’s flagship training program. Established office in Salt Lake City, Utah under the name, Trapper Woods International with 20 contract trainers around the world. Trapper moved to Allentown, Pennsylvania to work for Day-Timer. Trapper began his training career with the Charles R. Hobbs Corporation. 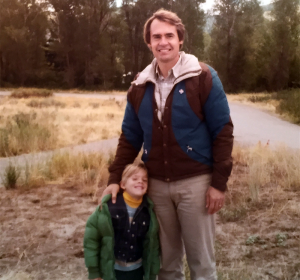 Mark and Trapper decide to go into business together when Mark is a little bit older.